Dr. Mark Lees is one of the country's most noted skin care specialists, an award-winning speaker and product developer, and has been actively practicing clinical skin care for over 20 years at his multi-award winning CIDESCO accredited Florida salon, which has won multiple newspaper reader-voter awards for "Best Day Spa on the Coast", "Best Skin Care Center on the Coast", "Best Facial", and "Best Pampering Place". 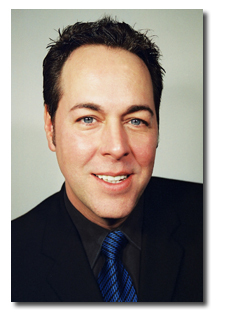 His professional awards are numerous and include American Salon Magazine Esthetician of the Year, Les Nouvelles Esthetiques Magazine's Crystal Award, and Dermascope Magazine's Legends Award. Dr. Lees has been inducted into the National Cosmetology Association's Hall of Renown, and Dermascope Magazine's Academy of Legends. Dr. Lees has been interviewed and quoted by NBC News, The Associated Press, The Discovery Channel, Glamour, Self, Teen, Shape Magazine, and many other publications. Dr. Lees is former Chairman of the Board of the Esthetics Manufacturers and Distributors Alliance, and is a member of the Society of Cosmetic Chemists, has served on the Board of Directors of the National Cosmetology Association, and is author of the popular book, Skin Care: Beyond the Basics, and contributing science author of Milady' Comprehensive Training for Estheticians. Dr. Lees holds a Ph.D. in Health Sciences, a Master of Science in Health, and a CIDESCO International Diploma. He is licensed to practice in both Florida and Washington State. His line of products for problem, sensitive, and sun-damaged skin is available at finer salons and clinics throughout the United States.